A dynamic and brand-centric design, crafted specifically for the metal format, will beautifully complement the unique weight and feel. 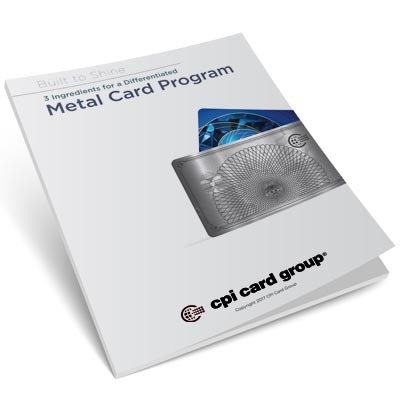 CPI design advisory services combines creativity with knowledge of production techniques and metal materials to make your card stand out. Our team works with you, your branding desires and ideas, and advises on approach, market trends, unique materials and visual effects. Creative concepts may range from idea and mood board generation to digital renderings to create the look and feel of your metal card. Leverage our extensive experience in design, manufacturing, printing, personalization and fulfillment, to create a seamless metal solution to enhance your portfolio. The heaviest card available with color-edge capabilities. Showcase a high level of detail with stainless steel shining through PVC. Make a statement with traditional, premium, and luxury packaging options. Embellish with laser personalization to add a long-lasting, luxurious look and feel. 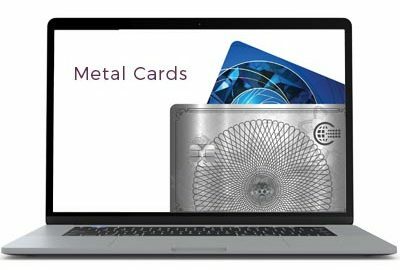 As a single source expert in metal card design, printing, and manufacturing we offer a full and expanding suite of quality metal payment products developed by our industry-leading research and development specialists. Combining high-definition printing techniques with impactful metal card execution, the integration of EMV and dual interface technology all with Visa, Mastercard® and Discover certification provide you with a market leading product. Learn how to choose the right metal card for your audience. Our culture emphasizes creating a relationship that evolves to a trusted partnership and we collaborate with you for mutual success. We provide a seamless and positive metal partnership experience via our one point of contact – a dedicated CPI client services specialist who coordinates everything with teams from across the company to ensure a seamless experience.